July 20, 2009, one of New York's busiest airports is now using an advanced ground radar system to improve safety. Newark Liberty International Airport commissioned the Airport Surface Detection Equipment-Model X (ASDE-X) on July 15. ASDE-X enhances safety by collecting data from more sources than Newark’s previous ground radar system, and provides controllers with color map displays showing the location of all aircraft and vehicles on the runways and taxiways. For example, when a plane is approaching the airport to land, ASDE-X puts lines up on a controller’s display to show the edges of the runway. If another plane or vehicle crosses those lines or moves toward them at a certain speed, two alarms go off. An audible alarm sounds telling controllers to instruct the landing plane to go around. A visual alarm shows up on the controller’s screen that circles the two planes or the vehicle and draws a line between them. The new system also shows data tags for both arriving and departing aircraft. The previous ASDE-3 system only gave information for flights headed to the airport. In addition to a view of the entire airfield provided by ASDE-X, controllers can pick certain areas to highlight on the display and zoom in to get a better view of what’s happening in each area. For example, if a lot of planes are waiting to depart, a controller can take a closer look at the departure end of the runway. This is especially important in bad weather when visibility from the tower window sometimes is hampered. ASDE-X differentiates between aircraft sizes, displaying heavy planes as yellow icons and regular planes in white. ASDE-X also gives controllers the ability to mark taxiway closures and safety areas on the screen. The new system is designed to integrate with future components of the Next Generation Air Transportation System, such as the Automated Dependent Surveillance Broadcast, or ADS-B, which can be incorporated into the ASDE-X display. Boston Logan International Airport also plans to commission ASDE-X on July 23. 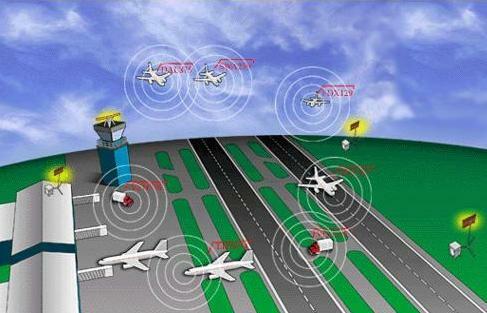 ASDE-X is a traffic management system for the airport surface that provides seamless coverage and aircraft identification to air traffic controllers. The system uses a combination of surface movement radar and transponder multilateration sensors to display aircraft position labeled with flight call-signs on an ATC tower display. The integration of these sensors provides data with an accuracy, update rate and reliability suitable for improving airport safety in all weather conditions. Further, the system is architected to support Automatic Dependent Surveillance - Broadcast (ADS-B). The FAA has identified 35 airports in the United States as candidates for ASDE-X systems. Ft. Lauderdale International Airport is now operating with Sensis Airport Surface Detection Equipment, Model X (ASDE-X), a runway incursion detection and alerting system. Fifteen of the 35 airports to receive the technology through the FAA’s ASDE-X program are now operational.